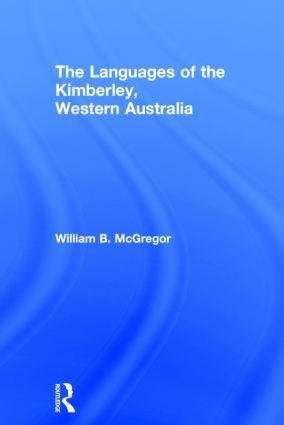 The Kimberley, the far north-west of Australia, is one of the most linguistically diverse regions of the continent. Some fifty-five Aboriginal languages belonging to five different families are spoken within its borders. Few of these languages are currently being passed on to children, most of whom speak Kriol (a new language that arose about half a century ago from an earlier Pidgin English) or Aboriginal English (a dialect of English) as their mother tongue and usual language of communication. This book describes the Aboriginal languages spoken today and in the recent past in this region. William B. McGregor is Professor of Linguistics at Aarhus University. He has studied Kimberley languages for more than two decades, publishing grammatical descriptions of four, and articles on a variety of topics including their grammar, history, semantics and discourse organisation.